New Directions Publishing Corporation, 9780811217958, 96pp. One fat victim ("everything about him oozed opulence and theft on a grand scale") is relieved of his crocodile wallet. In it Ossama finds not just a gratifying amount of cash, but also a letter -- a letter from the Ministry of Public Works, cutting off its ties to the fat man. A source of rich bribes heretofore, the fat man is now too hot to handle; he's a fabulously wealthy real-estate developer, lately much in the news because one of his cheap buildings has just collapsed, killing 50 tenants. Ossama "by some divine decree has become the repository of a scandal" of epic proportions. And so he decides he must act. . . . 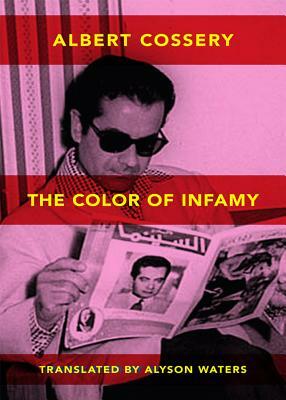 Among the books to be treasured by the utterly singular Albert Cossery, his last, hilarious novel, The Colors of Infamy, is a particular jewel.